PFI has worked with numerous General Contractors in the commercial industry the past 11 years. 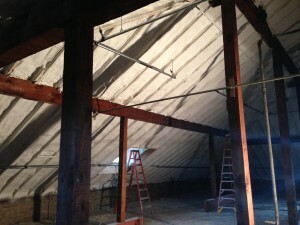 Our crews receive extensive training and have been certified by the manufacture to install spray foam insulation. They also have the knowledge of spray foam as well as are able to troubleshoot issues quickly to resolve any onsite issues in order to keep the projects moving forward and on-time. We continually train our office staff and field technicians to improve our knowledge to expand our expert advise and to help establish the most energy efficient buildings. Our crews have also had OSHA 10 training and High & Low pressure SPF safety training. Our trained professionals will get the job done right, safely, with the highest quality standard at a fair price. 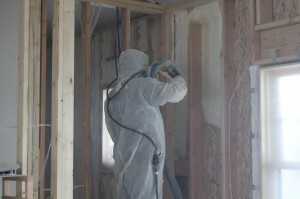 PFI has been providing insulation services to the State of Minnesota for over a decade. We work with both homeowners and residential building contractors. The PFI crew provides personalized and prompt customer service at a reasonable price. We are a full service insulation contractor and can assist you with all your insulation needs. Whether its new construction, remodel, garage, pole shed we can help. PFI successfully completed Phase 1 at the University of Minnesota Minneapolis Campus last week. Spraying areas in a mechanical shaft where they were having issues with pipes freezing and busting in the extreme cold temperatures. 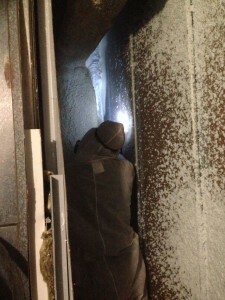 We then applied a thermal barrier over the foam to meet the code requirements.